Are US workplaces now safer than before? Workers’ comp claims from employees who suffer on-the-job injuries are booming across the state. Consult our attorneys at the Koszdin, Fields, Sherry & Katz law firm to get a free consultation today. On behalf of Koszdin, Fields, Sherry & Katz posted in Workers Compensation on Thursday, March 01, 2018. A new study finds that the number of qualified medical evaluators that focus on workers’ compensation claims in California fell by 20 percent over a five-year period. The staggering decline in the number of qualified medical evaluators in California is happening at a time when workers’ comp claims from employees who suffer on-the-job injuries are booming across the state. Our Van Nuys workers’ compensation attorney at the Koszdin, Fields, Sherry & Katz law firm says that there are now less medical evaluators you can trust when seeking workers’ comp benefits after a workplace injury, which is why hiring a lawyer has become more important than ever. The shows that there were nearly 2.9 million non-fatal on-the-job injuries and illnesses in 2016, nearly 900,000 of which were severe and required a prolonged period of time (ranging from a few days to months) away from work. The number of workers’ compensation claims has been climbing in recent years, which stands in stark contrast to the declining number of QMEs in California. The same study also found that the vast majority of workplace injury claims involve musculoskeletal injuries. That means orthopedists were particularly busy from 2012 to 2017, as they handled more than half of all med-legal services by evaluating cases of orthopedic injuries at work. The study also noted that orthopedic surgeons, spine specialists or mental health specialists accounted for more than 70% of all medical evaluations relating to workers’ compensation claims. What about unqualified medical evaluators? Here at the Koszdin, Fields, Sherry & Katz law firm, our lawyers have heard clients complain about incompetent and unqualified medical evaluators providing them with illegal and unreasonable evaluations. In some cases, these so-called “medical evaluators” simply rip off their clients and ride off into the sunset. In other cases, on the other hand, these evaluators can actually help you collect workers’ comp benefits by providing you with fake evaluations, tempering with medical documents, and through other illegal means. 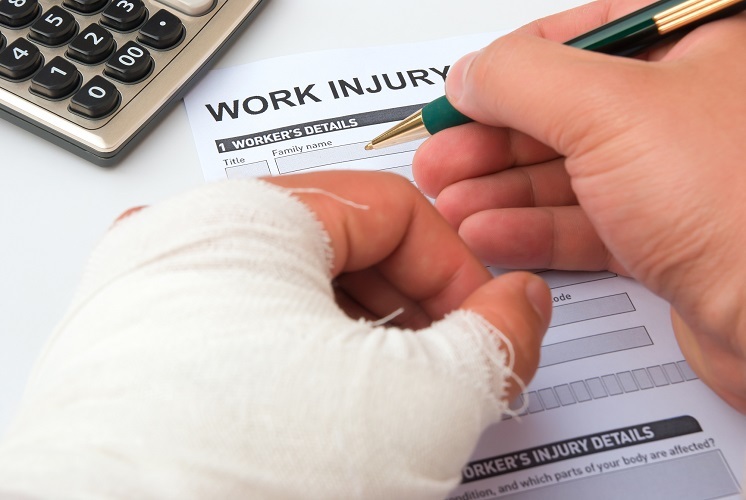 While you will indeed receive compensation for your workplace injuries, you may face legal trouble for claiming workers’ comp benefits you weren’t entitled to. That’s why seeking the legal advice of a Van Nuys workers’ compensation lawyer is so vital. The last thing you would want is your employer filing a lawsuit against you alleging that you stole money from his business by providing inaccurate information about your injuries or presenting fake evidence. Consult our attorneys at the Koszdin, Fields, Sherry & Katz law firm to get a free consultation today. Call our offices at 818-812-5639 or (toll free) 800-747-3447 or complete this contact form. Medical Benefits in Workers’ Compensation Claim: What’s In the Package?